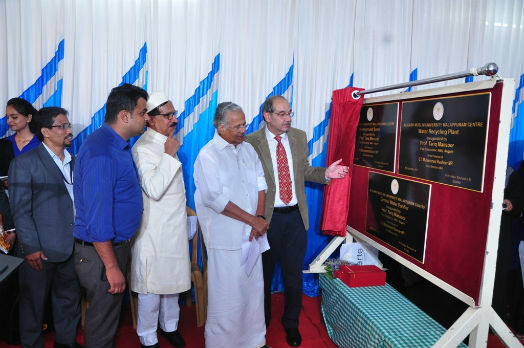 Aligarh, October 5: Aligarh Muslim University (AMU) Vice Chancellor, Professor Tariq Mansoor visited the varsity’s Malappuram Centre in Kerala where he emphasised that he stands for the development of AMU Centres. “The university administration, whole heartedly wants progress of all AMU Centres,” said Professor Mansoor. The Vice Chancellor assured that the development issues of these centres will be discussed with the Ministry of Human Resource and Development and the University Grants Commission with the help of Members of Parliament. He also promised to see all the possibilities for implementing local reservations and to examine the facility of having teaching lab for B.Ed students. Prof Abdur Rasheed K M (Director, Malappuram Centre) welcomed the gathering and thanked the Vice Chancellor for providing the free WiFi facility. 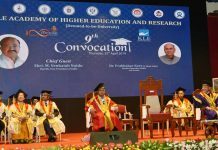 While delivering the keynote address on ‘Vision of Sir Syed and Prospects of the Centres’, Mr E T Mohommad Basheer (Member of Parliament and AMU court member) emphasized that the local students must get reservations at the Centre and special arrangements should be made to increase their percentage in various courses. The Vice Chancellor also inaugurated water recycling plant, central water purifier plant, underground water sump, Gym and Fitness Centre, automated library and rational combo oven for the dining halls during the visit. Dr Faisal K P (Coordinator, Department of Law) proposed the vote of thanks.